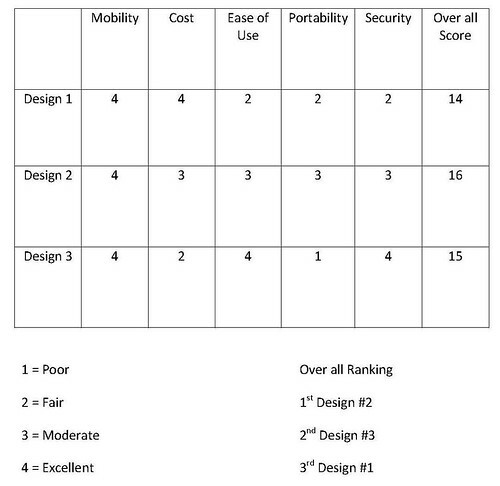 We are designing a project for a patient who has trouble using a traditional upright, rolling walker. With a few modifications and the aid of a waist-high or vest harness, the user should be able to independently operate the walker. Benjaimin Cross is a 19 year old high school senior who has been confined to a wheelchair for most of his life due to illness. In recent years, Ben has started to walk, with the aid of his physical trainer and a standard walker. 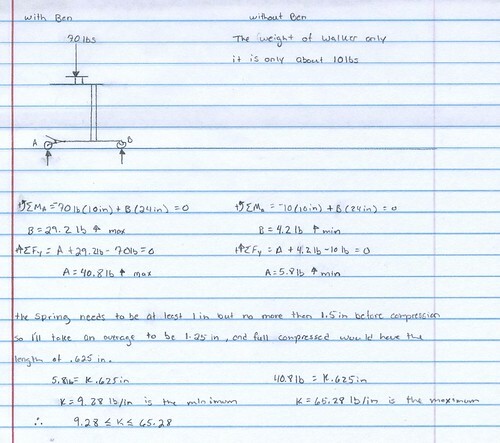 The primary limitiation is that he needs a helper's aid to balance in the walker. Currently he can use a standard walker with the help of someone walking alongside him holding a belt-like harness to keep him on course. We intend to modify a standard walker with bracing to eliminate the need for an assistant once he is in the walker. Ben is strong enough to walk with the aid of a walker, he just needs a little confidence and security. • Child weighs approximately 75 lbs, stands about 5 ft tall, and has a couple medical issues. • Child needs constant waist stabilization to walk due to a hip joint issue. • Portability of the walker is not a necessity but would be a nice luxury. • Child needs a resistance to fall forward. Due to medical issues child does not have a very good sense of balance in the forward direction. • Child needs a walker that is able to have the mobility to maneuver outdoors and have a larger range of freedom. Issues that occur with the original walker are: no stabilization to the hips, difficult for him to maneuver due to his medical issues, has no constant support to keep him from falling forward, and has lack of mobility. 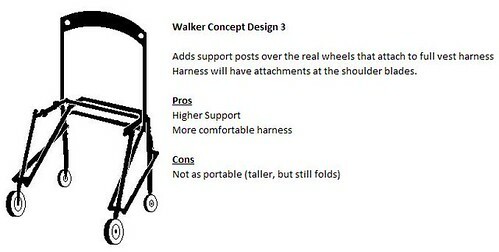 We hope that in modifying a traditional walker with these specifications in mind will help solve the current issues. 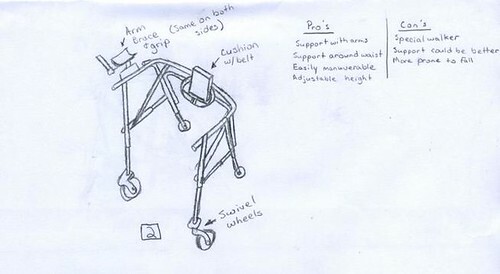 Design concept number 1 is similar to a standard walker but with some modifications. The added brace attached to the connecting beam will place support around his sternum. the all-terrain tires will also increase the mobility of the walker. It also is adjustable for height in order to accommodate growth. However, it is less portable and will be heavier than average. Also it may have a tendency to "walk away" from him. 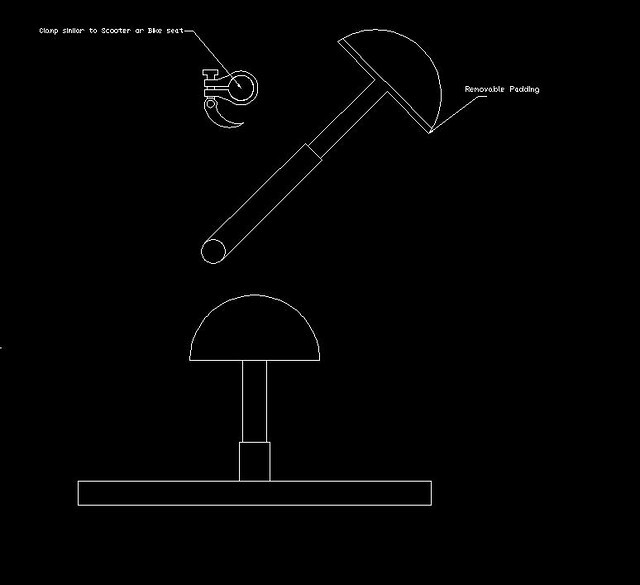 Design concept number 2 is a unique design because it integrates arm supports with a pelvic stabilizer. The base walker is reversed to add support for our child's needs. The walker is easily collapsible making it easy to transport. The swivel wheels also make it very maneuverable. However, there are drawbacks to this design. One is the cost of the walker, due to the fact that it is reversed. Two, our child may have difficulties staying upright with the use of the supports. 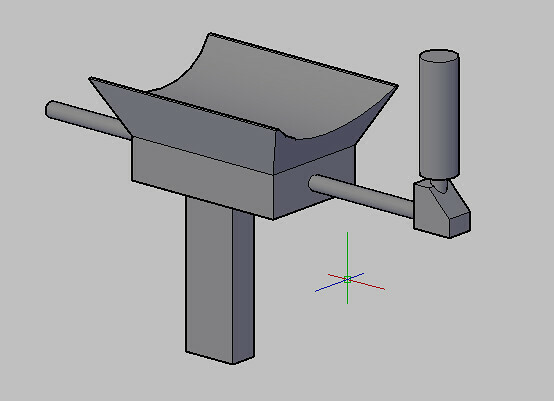 Overall, we liked the concept of this design due to the integration of the two supports, and its maneuverability. 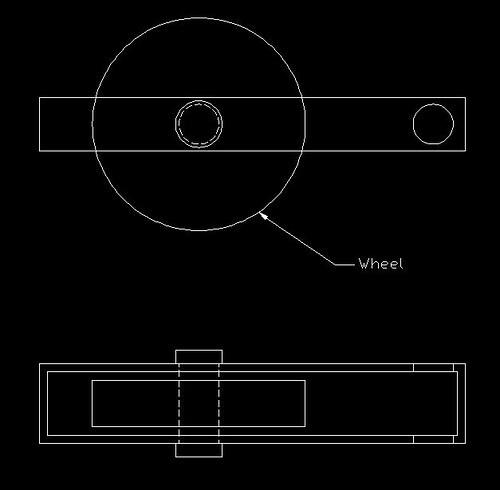 Design #3 takes the basic idea of stabilization presented in the first two ideas and moves the attachment higher to add more freedom. The user's hips now have full range of motion and feels more stable. Unfortunately, having the attachment to the walker on the user's back creates a problem when entering and exiting the walker and requires an assistant every time. One of the goals was to make the user more independent and this design hampers that goal. The base walker prior to modifications. Harness design. Currently a wide waist belt with four connections to the upper rail of the frame. 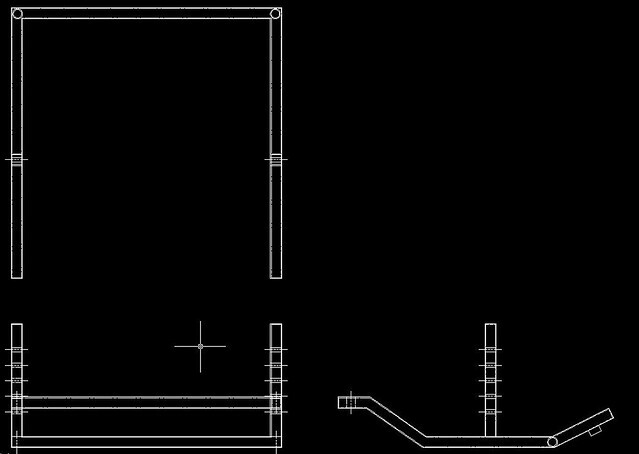 This is the design for the forearm platforms minus the lock for the extension bar. Bar can be moved in and out. Grip can be anywhere from perpendicular to the bar to parallel with it. 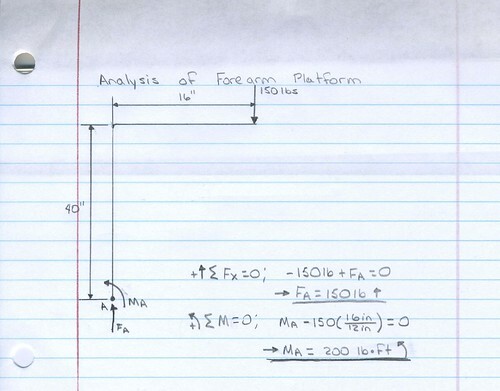 Platform can be raised or lowered. 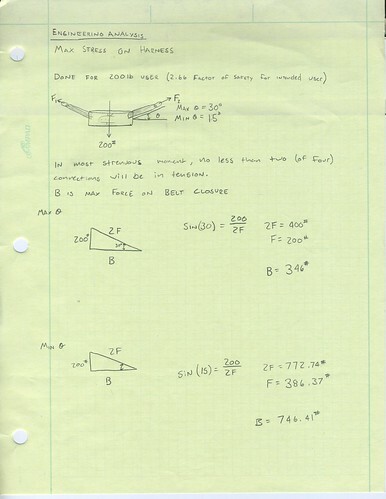 Design for a sternum pad attachment. The pad isn't for support as much as a confidence booster for the child. He needs to stay upright as much as possible. The pad is fully removable.